Ethio Telecom, the telecommunication services provider of Ethiopia and the Registry operator of .ET has launched the country code Top-Level Domain (ccTLD) for Ethiopia. .ET domain is supported by the registry system developed by ZDNS, a leading internet infrastructure service provider from China. Global management consultancy McKinsey & Company's new book "Africa's Business Revolution" finds "regions that recall China before its own period of explosive growth", and Ethiopia is one of the key regions revealing the growth. The consultancy company also predicts that in 2015 to 2025, the increased Internet penetration will add $300 billion to the continent's GDP, in which the national telecommunication expansion plan of Ethiopia certainly will have a vital role in the progress. According to Financial Times, over the past ten years, Ethiopia has become the most significant economic power in the region of East Africa, with an average annual growth rate of 10% and Internet infrastructure is one of the most rapidly growing investment field. 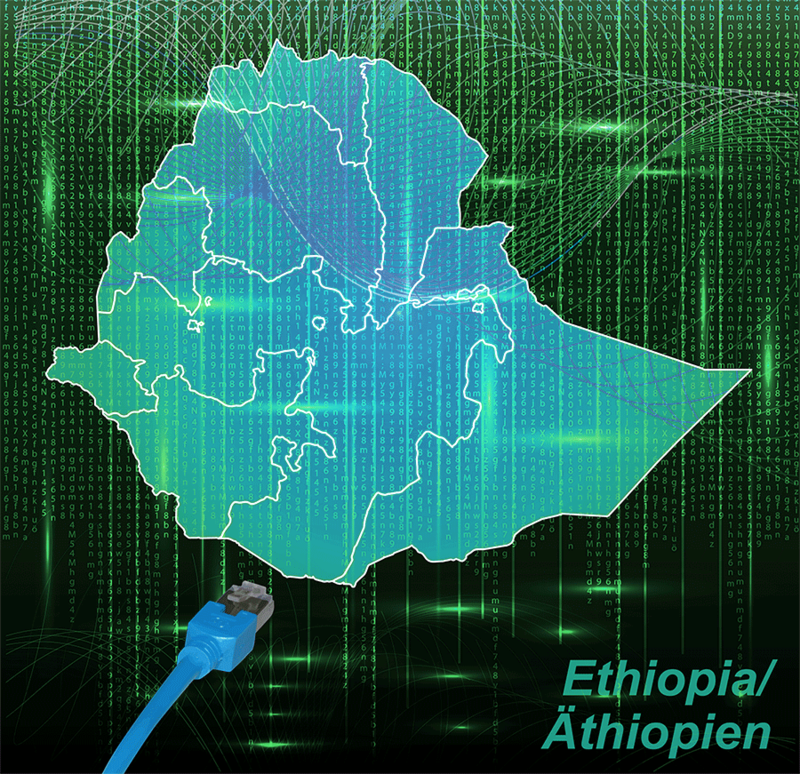 In 2015, Ethio Telecom was aiming to increase telecom service access and coverage across the nation, as well as to upgrade existing network to new technology, which now supports over 40 million internet users (including 3G and 4G users) and growing. At the same time, the original internet infrastructure and the system does not fit the emerging business and operational demands anymore; expansion and new technologies are vital as well for future growth. 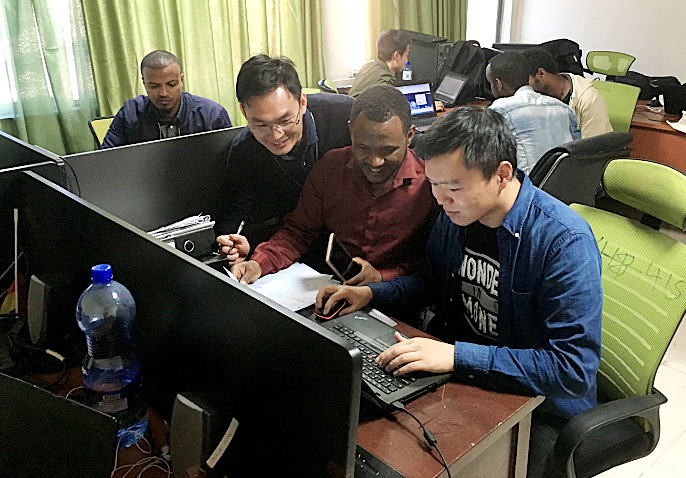 ZDNS support team showing .et registry technical team the offered system.Bill Xing, CEO of ZDNS says, "ZDNS is very glad to present our integrated ccTLD registry solution to help accelerate the growth of .ET and the internet penetration of Ethiopia. With over 20 years of experience in serving ccTLDs and gTLDs, the registry service team of ZDNS has kept enhancing the ability to provide international technical solutions. In addition, in cooperation with our R&D team, we are also exploring more supportive and even more efficient technical solutions for TLDs with innovative applications and customized features." With over 7 million domains in total under management, over 40 patents regarding domain name system and IP addresses, R&D;experts participated and led the discussion of 4 RFCs and 16 national industry standards, making ZDNS currently the largest registry service provider in the Asia Pacific region. Ethio Telecom was looking for an experienced service provider with long term industry insight, and ZDNS proved to be a proper fit. Ethio Telecom is now working with global registrars to call for more innovative applications for .ET, and exploring further cooperation with the industry. "ethionet.et” now has been launched as the homepage for Ethio Telecom, making .ET the official digital space for organizations and individuals from Ethiopia, and connecting to the world. Local Time: Tuesday, April 23, 2019 07:03 AM PDT – Page Load: 0.2696 Sec.